Are your countertops starting to look worn, stained, or outdated? Surface Solutions, LLC is a local, independent company that has been providing homes and businesses with professional reglazing, resurfacing, and refinishing services for over 20 years. Without unique process, we’re able to completely transform the appearance of your countertops at a fraction of the cost of replacement. 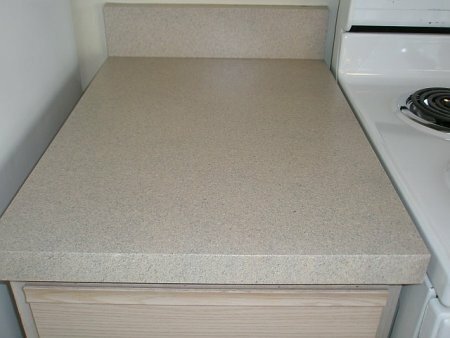 Not only can we restore a like-new appearance, we can change the color and finish of any countertop! Why Should I Choose to Resurface? Surface is worn from years of cleaning with abrasive cleaners. The surface is difficult to keep clean. The color of your countertop is outdated. The surface has become damaged or was chipped. Back in service in 24 hours vs. 1 - 2 Weeks. Our Stone Fleck finishes give the look of Corian or Granite. They are multi color finishes with a clear coat sealer on top. They are extremely durable and long lasting. Please call for an appointment to see the color choices. Standard price is for counters up to 13 linear feet, please add $22 per extra linear foot. Tired of the outdated color, permanent stains, or chips and irregularities in your sink and bathroom vanity surface? Why not completely transform your bathroom by refinishing your bathroom surfaces and give it that like-new appearance it's been missing? Our team can save you a fortune compared to the high cost of replacing. We offer resurfacing and refinishing for countertops to homeowners, business owners, and property managers in Canton and throughout the Metro Detroit area. 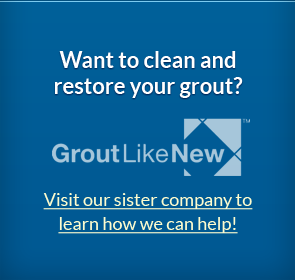 Call us today at (734) 455-0200 with any questions or use our online contact form to get a fast response from a member of our team.